Tinnitus (TIN-nuh-tus), otherwise known as a “ringing of the ear,” is a condition in which you experience sounds without an external stimulus. With hearing, our ears pick up sounds from our environment which are then processed and recognized by the brain. Tinnitus, on the other hand, is a sound that comes from within. The sounds of tinnitus vary from person to person. Tinnitus sounds are commonly described as ringing, buzzing, whistling, roaring, clicking, a rush of air, and even in rare cases, music. Chronic tinnitus lasts days, months, or years, while temporary tinnitus may last just a few seconds. The majority of people have experienced at least one bout of tinnitus – even if it lasts just a few seconds. An estimated 30 million Americans experience tinnitus, with some 13 million experiencing tinnitus without hearing loss. The US Centers for Disease Control estimate that “roughly 20 million people struggle with burdensome chronic tinnitus, while 2 million have extreme and debilitating cases.” Approximately 40% of people with tinnitus report that they experience it 80% of their day. One in four people with tinnitus report their tinnitus as loud. Tinnitus may occur to anyone, at any age; statistics show that 27% of people age 65-84 experience some form of tinnitus. Additionally, 60% of veterans returning from combat zones report tinnitus, along with hearing loss. The US Centers for Disease Control reports that nearly 15% of the general public have experienced some form of tinnitus. Subjective tinnitus makes up 99% of tinnitus cases. Have you woken up the morning after a loud rock concert and heard a strange ringing in your ears? This is an example of subjective tinnitus. This form of tinnitus can be heard only by the person who experiences it. Noise-induced hearing loss and age-related hearing loss are the most common causes of subjective tinnitus. Both forms of hearing loss are sensorineural hearing loss, caused by the damage of inner ear hair cells that do not regenerate. Damage to these hair cell has been linked to subjective tinnitus. Objective tinnitus is quite rare, making up about 1% of tinnitus cases. Sounds from objective tinnitus can be heard both by the person who experience is and a person in close proximity. This form of tinnitus is most often caused by cardiovascular issues, in which case it would be considered pulsatile tinnitus. Other causes of tinnitus are impacted earwax, certain classes of ototoxic medication, malformation of ear bones, or trauma to the head and neck area. Tinnitus and hearing loss often appear hand-in-hand. 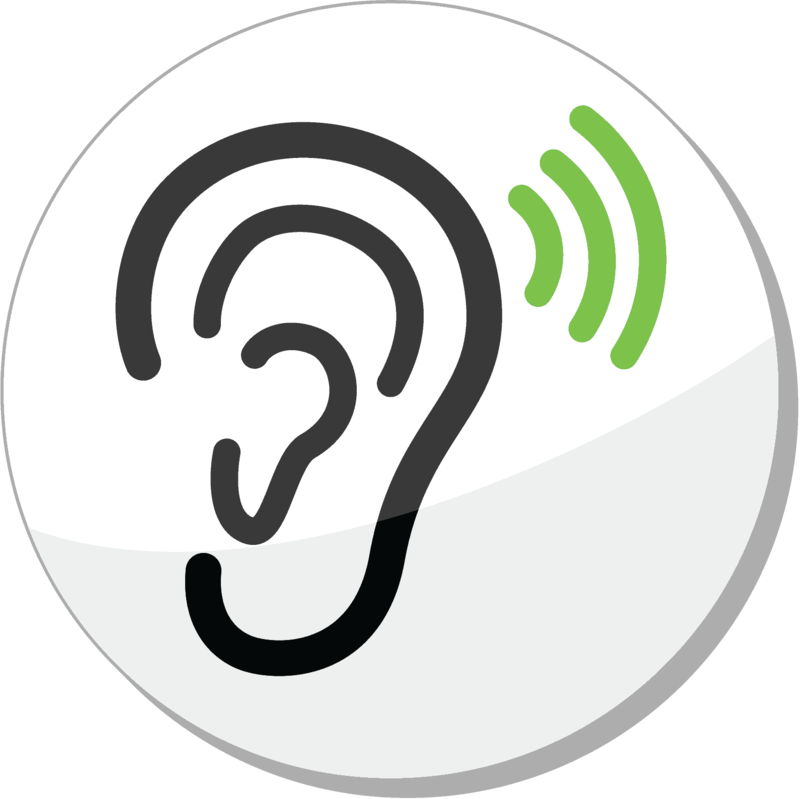 According to the Hearing Health Foundation, about 90% of tinnitus cases occur with an underlying hearing loss. Tinnitus and hearing loss are believed to share similar causes – such as damage to inner ear hair cells, as mentioned above. Some researchers suggest that damaged inner ear hair cells “leak” neural signals, which may be processed by the brain as sound. As with hearing loss, there is no cure for tinnitus. However, in some cases, treating related conditions (such as lowering one’s blood pressure or ceasing ototoxic medication) could reduce or even eliminate tinnitus. Because tinnitus and hearing loss so commonly appear in conjunction, hearing aid manufacturers have created devices that provide relief for people who suffer from tinnitus. Hearing aids often offer a tinnitus therapy or masking function, which helps mitigate the sounds of tinnitus with a static sound. Coupled with increased access to amplified sounds, hearing aids with tinnitus treatment make it easier for people to lead normal lives. If left untreated, tinnitus could lead to a number of issues. During the day, issues with memory and concentration could interfere with productivity. Difficulties with speech recognition may interfere with conversations, with may lead to decline in one’s social life. These consequences are similar among those who do not seek treatment for hearing loss. Treating tinnitus begins with consultation with an audiologist. At Professional Hearing Services, our doctors of audiology provide comprehensive treatment for tinnitus, as well as hearing loss. A physical examination and hearing test help provide a roadmap for improving your hearing health, as well as battling the symptoms of tinnitus.